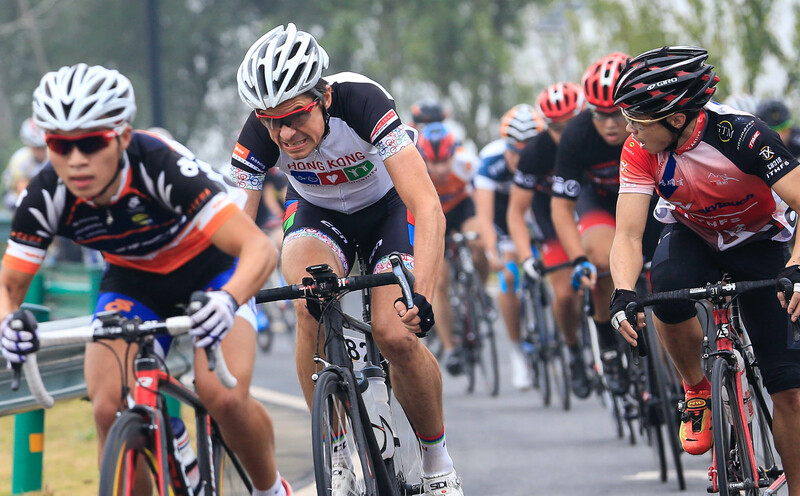 It is always good coming to race in the Chengdu area as the organizers, ‘Lao Che Mi’ are widely known for putting on great events that are well organized. They also look after their foreign guests extremely well, paying attention to every detail. 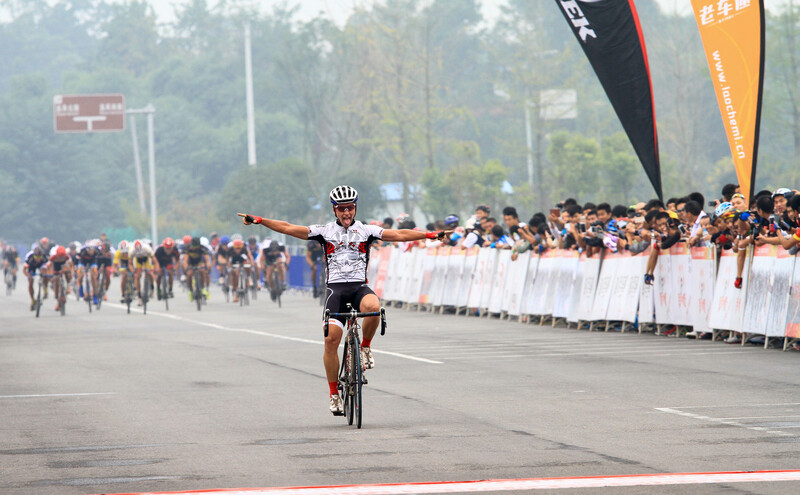 I have raced at many races throughout China, and Laochemi events are right up their with the best, if not the best. 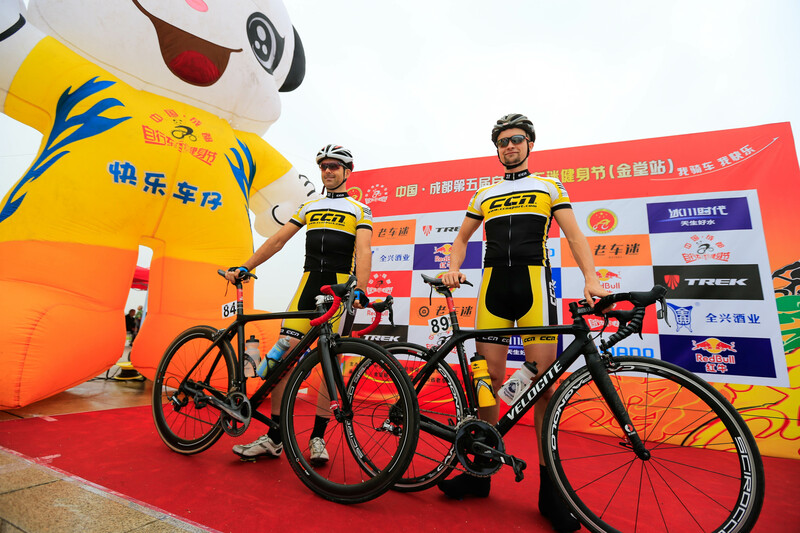 They have been putting on events since 1984 and are pioneers in the China cycling scene; they also have five TREK concept stores in Chengdu city! 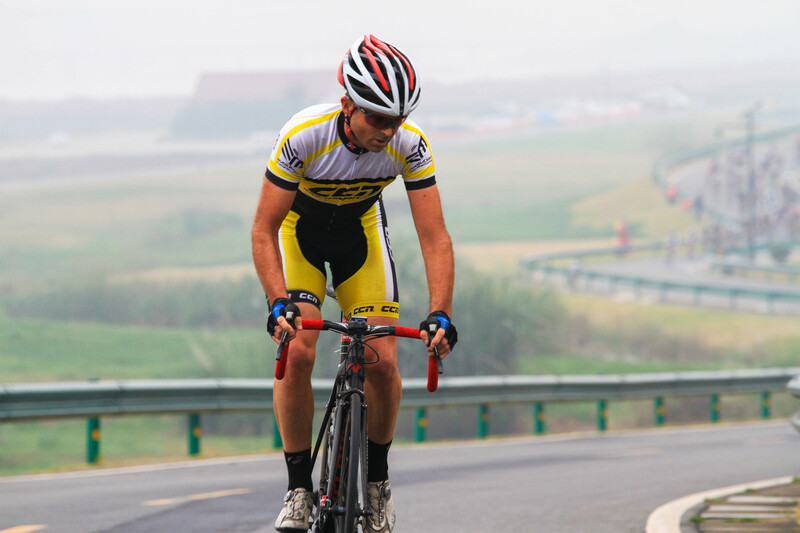 If you are looking for a good race to do in China, consider signing up for one of their races. 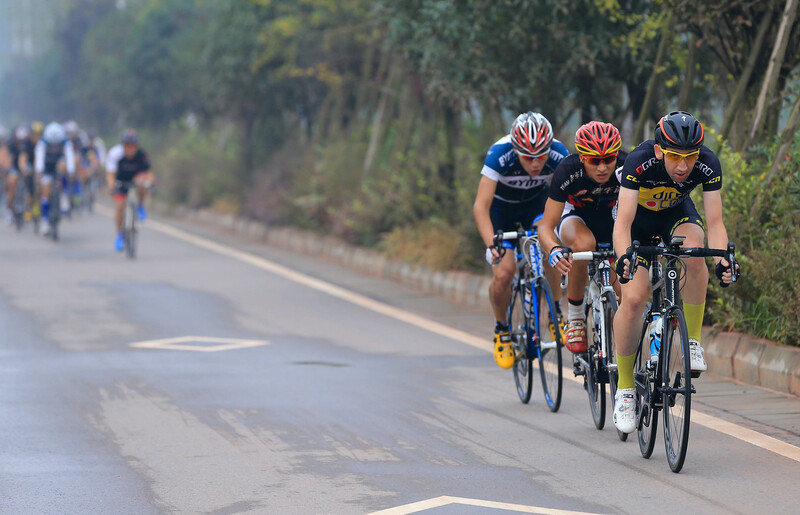 It is a unique adventure as you experience Sichuan hospitality and witness the thriving local cycling scene. 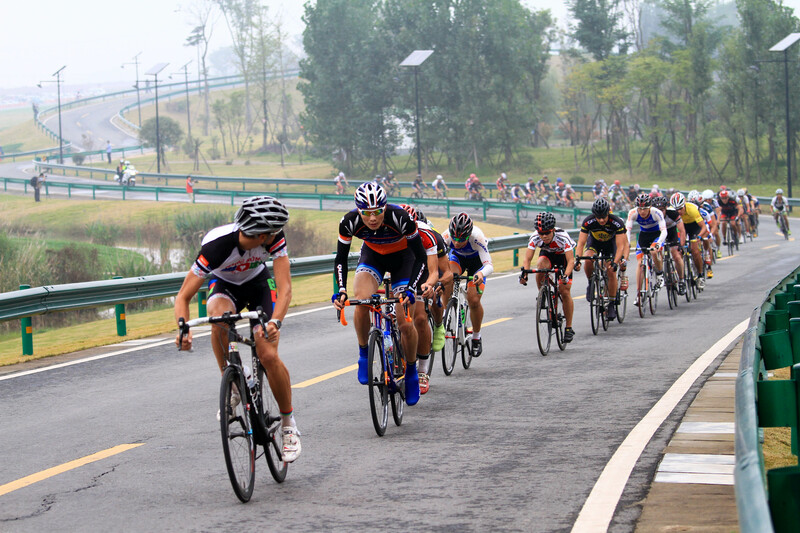 The race course was held on the ITU Triathlon World Cup 4.9km circuit, which circumnavigates a man-made lake. 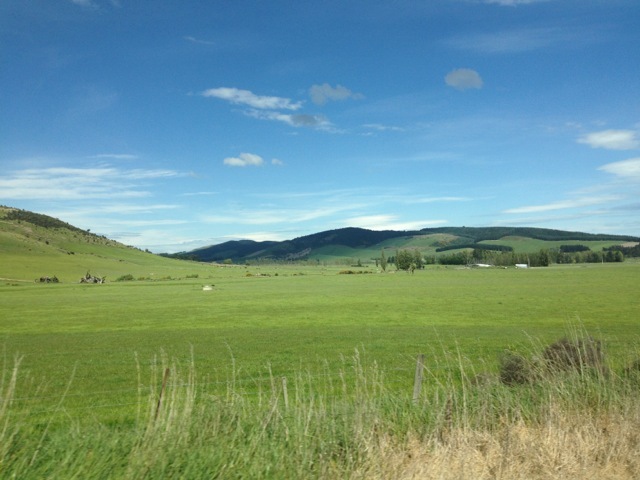 It consisted of several twisting rises of about 30m over a flowing, twisty, smooth road. There was one U-turn and the final corner was approx 350m before the finish line. There was plenty of local cheering spectators gathered in force around the start/finish area as the 70-rider peloton flashed by. The race was won by Gary Loafman in a daring solo move about 3km from the finish and he held off a charging bunch by a mere five seconds. I managed to win the bunch kick quite comfortably by a bike length to take second place and share a rare 1-2 podium finish with long time friend Gary. It was also a great result considering I was coming off a week being sick and a greatly reduced training load. 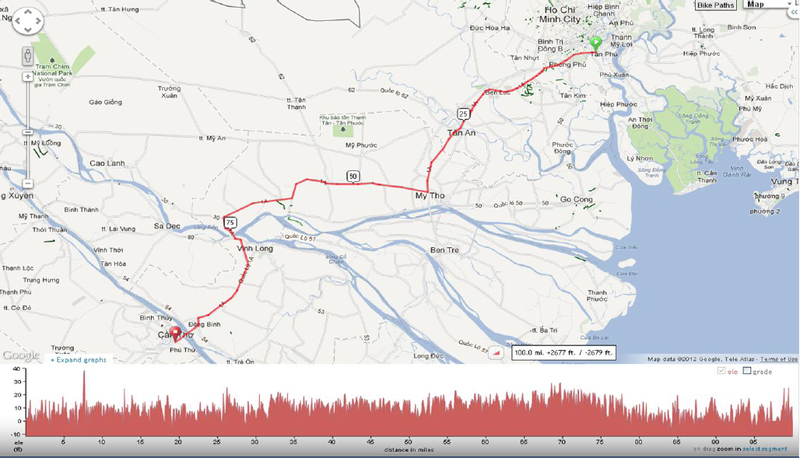 The opening stanzas of the 100km race was quite uncharacteristically slow and, although moves were going off the front, none of them were sticking as the peloton kept chasing them back. It was quite a negative style of racing without any of the teams really taking initiative, the pace even dropped down to 30km/h for a few moments. On the second lap, I made my first little surge after the U-turn, but took the wet corner a little too quickly, slid out a bit, but managed to stay upright and clipped a Chinese lady that was on the race course! I was lucky! No one went down except for the rider who was already away on his own. My first big move came in lap 7 when I counter-attacked after the bunch chased down a dangerous looking move. I instantly got a good gap and kept going. I found myself riding solo, extending my lead and out-of-sight from the peloton for a good four laps. On the forth lap, I knew the peloton was going to catch me so I started riding slightly below my threshold pace, hoping riders would jump across to me. 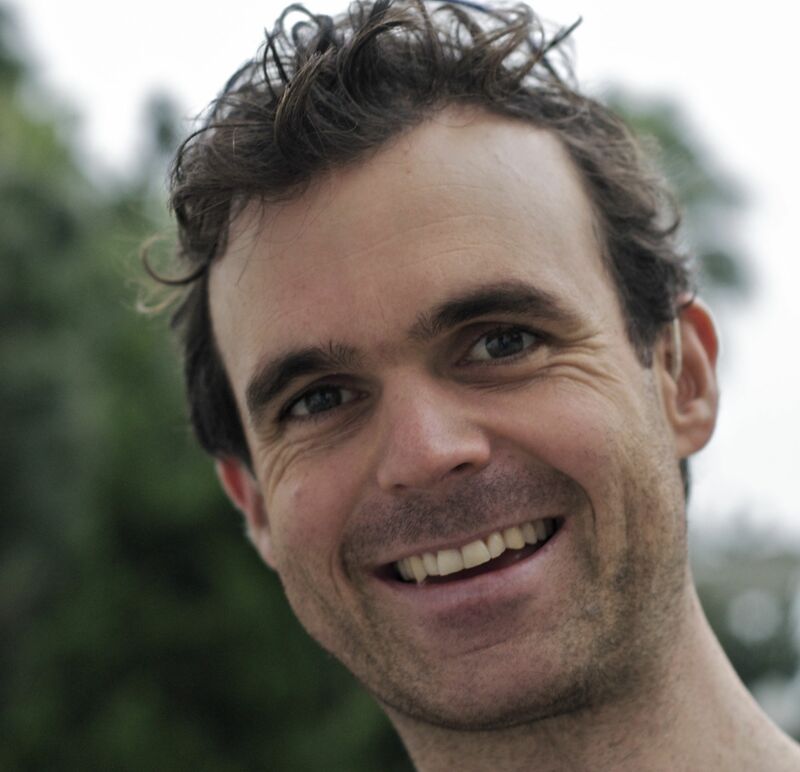 When I was caught, I immediately jumped away for another move and took several riders with me including Darren Benson, but there was not enough cohesion with the breakaway and the move was immediately snuffed out. Darren Benson (B4H) always looking for opportunities to jump away . The moves off the front kept going, but nothing was sticking. Aron from B4H Hong Kong was trying his hand several times with attacks as did Direct Asia’s Damian Barrett. I was interested in keeping the race together for the finish as I knew I had a good chance in the final sprint, thus I would chase down any threatening moves. 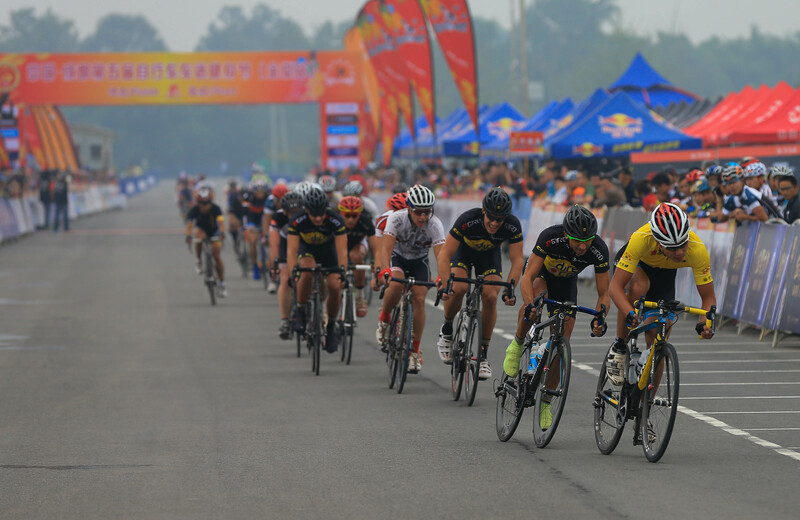 With three laps remaining, Darren Benson leapt away for his traditional trademark late attack move that is known to win him races; he was joined quickly by three Chinese riders and the quartet worked well initially to establish a likely winning move. 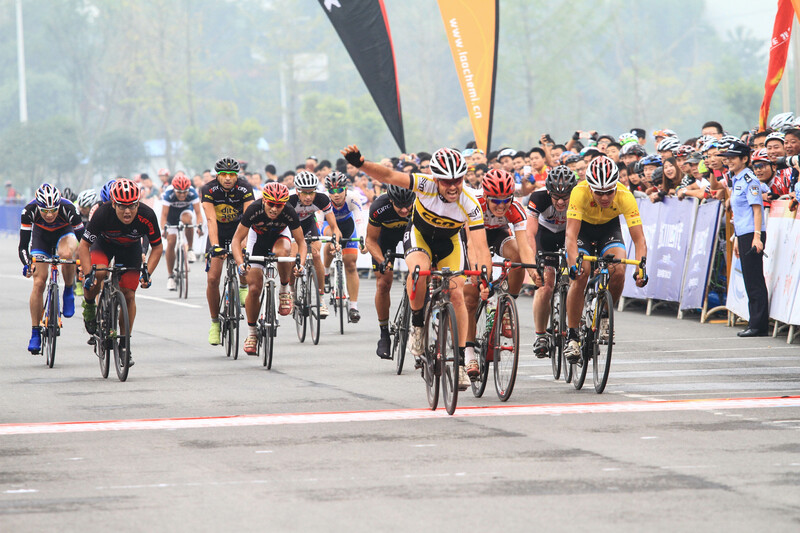 It looked like the race was going to be snatched away by these four riders, however some spirited chasing by Direct Asia and then Trek’s Liu Zhuqi, current Tour of Chengdu series yellow jersey leader, rode hard on the front for a sustained period to reel back in the dangerous four-rider move. It was then all back together with just one lap remaining, and while the riders were contemplating the sprint and eying each other they failed to react immediately when Gary Loafman took a flyer with just 3km remaining. Loafman used the downhill momentum to attack up and over the final rise and used the downhill to launch even more advantage. After the U-turn, it looked like he was going to be caught with the bunch going full tilt; however riders at the front did not want to be there and this caused some disorganization. None of the teams were able to get their act together to drill the pace consistently. Aron Akesson (B4H) was quite active during the race and was away a few times in solo attempts. 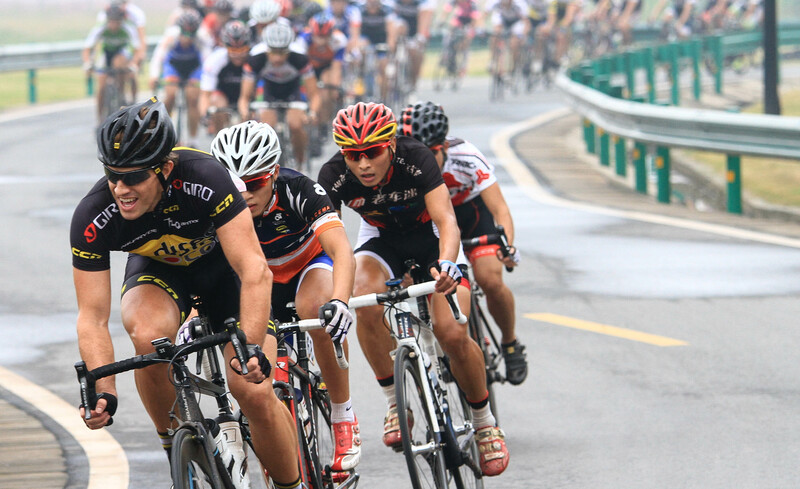 I was patiently biding my time in the peloton and moving up slowly when opportunities presented themselves. It was becoming quite messy with 1km to go and I was getting boxed in with about 800m remaining. I managed to get out of the situation just before the final corner and surged through on the outside line to find the wheel of Liu Zhuqi with 300m to go. I opened my own sprint from 250m out and held it all the way to the line for a good result. Gary Loafman was ecstatic with his result as he put everything into his do-or-die move and it paid off. Loafman rode a smart race, biding his time in the bunch making sure he was always near the front and then using his years of tactical nous to outwit the riders on teams. Gary Loafman (un-attached) riding without a team, notched up a great win – even after being sick for the last couple of weeks! Myself, representing CCN, winning the bunch kick for 2nd! I was pretty happy with this result! Damian Barrett (Team Direct Asia) tried his hand a couple of times to get away. 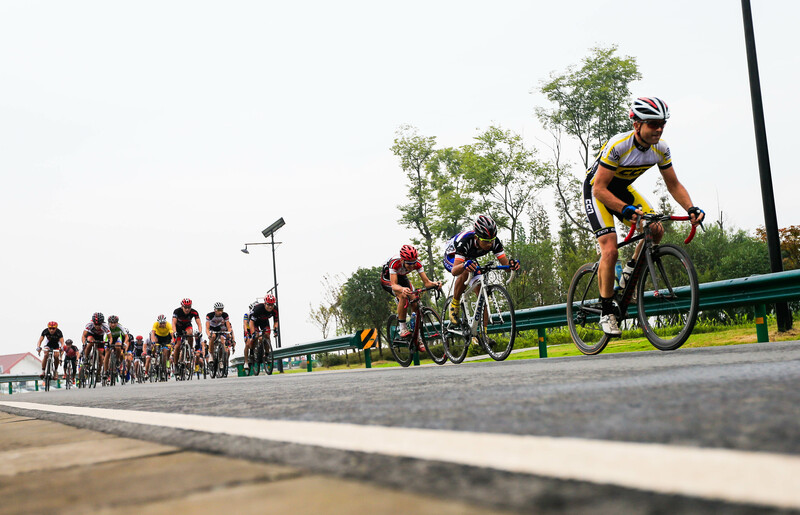 The critical crunch time of the race: the four rider move was up the road and Liu Zhuqi (yellow jersey) is motoring hard to reel them back in. Big Gear Grinder, Matt Kenfield (Team Direct Asia) driving the pace. 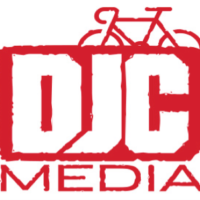 I am on the front, going on the attack in the mid-stages of the race, stringing out the pack.